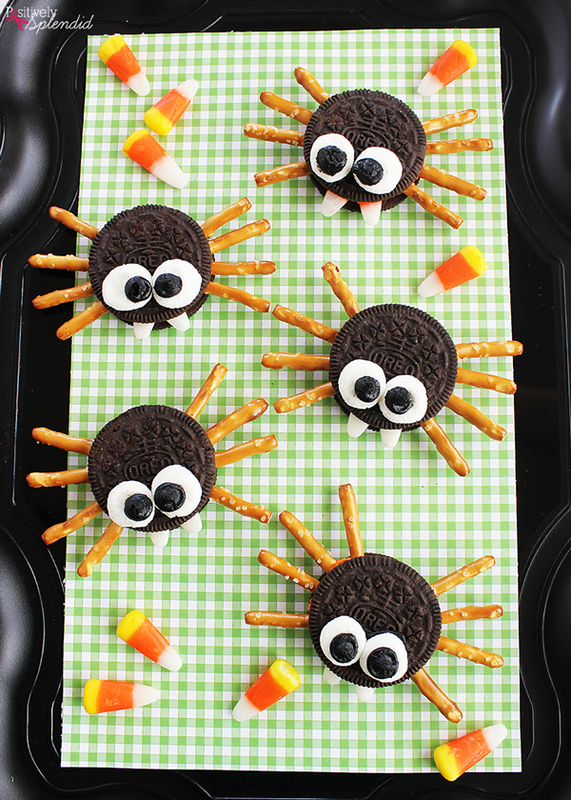 Spiders and monsters and witches, oh my! 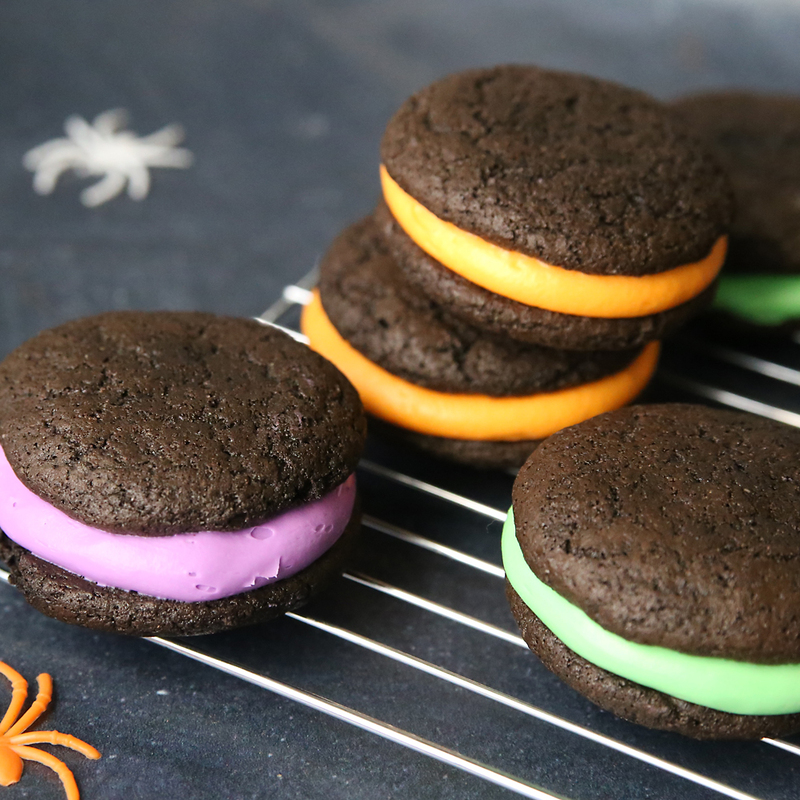 Today you’ll find over thirty different easy Halloween cookie recipes, perfect for making with your kids. 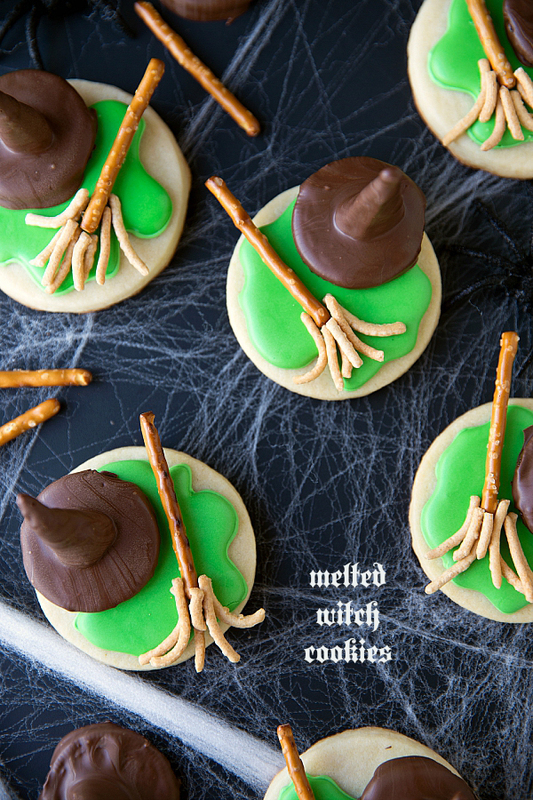 So I like celebrating Halloween as much as the next lady–alright, scratch that. 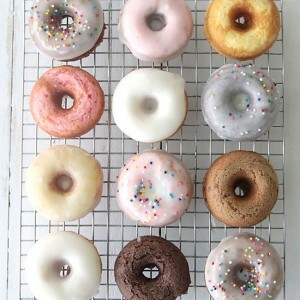 I really don’t. 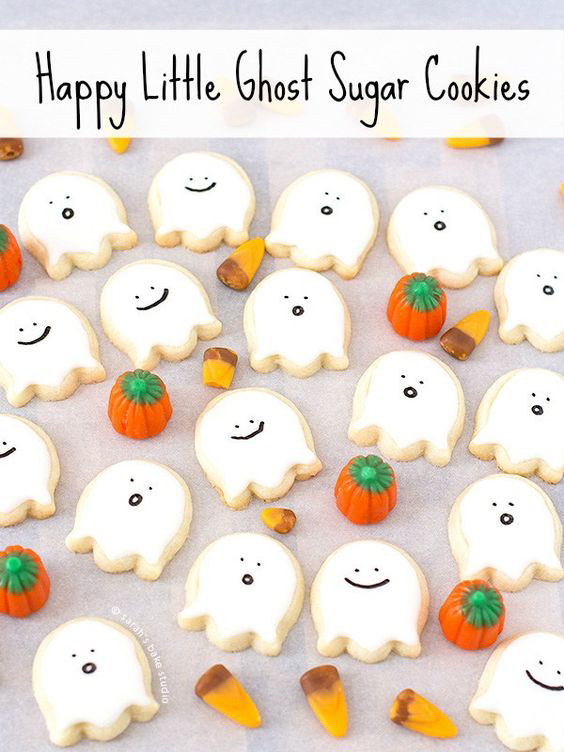 Like celebrating Halloween, that is. 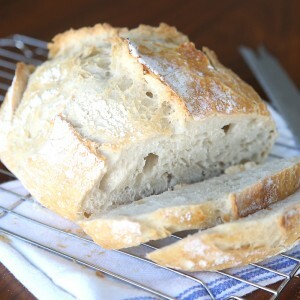 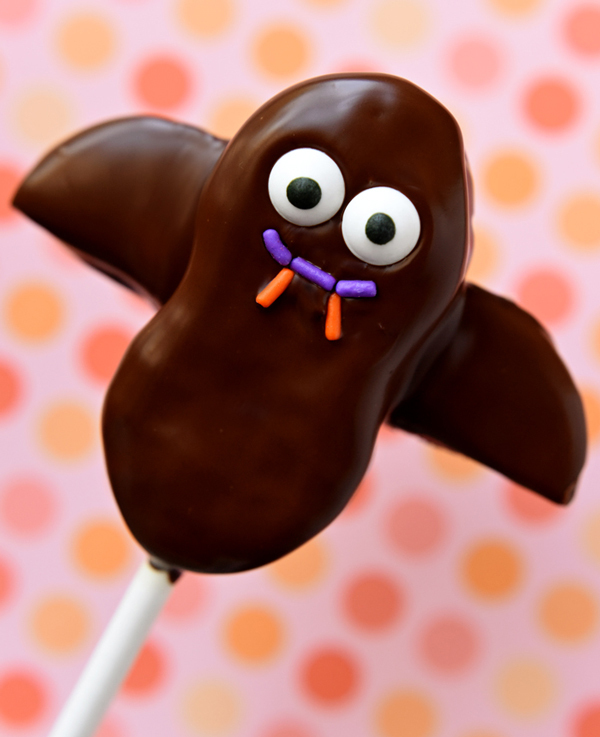 In fact, you could call me an under-celebrator. 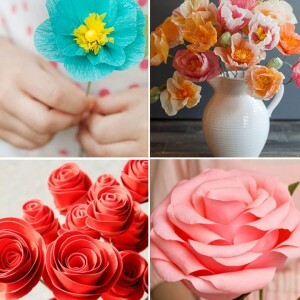 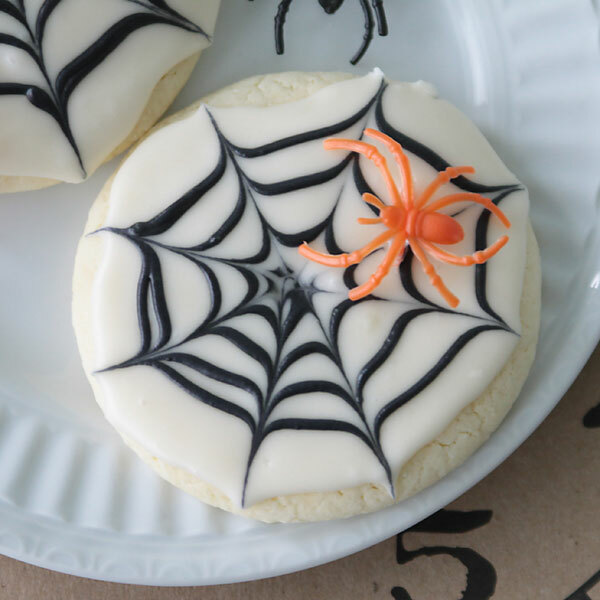 I mean, trick or treating is fun and all, but I can’t seem to get around to decorating the house for Halloween, and I never (I mean never) dress up anymore. 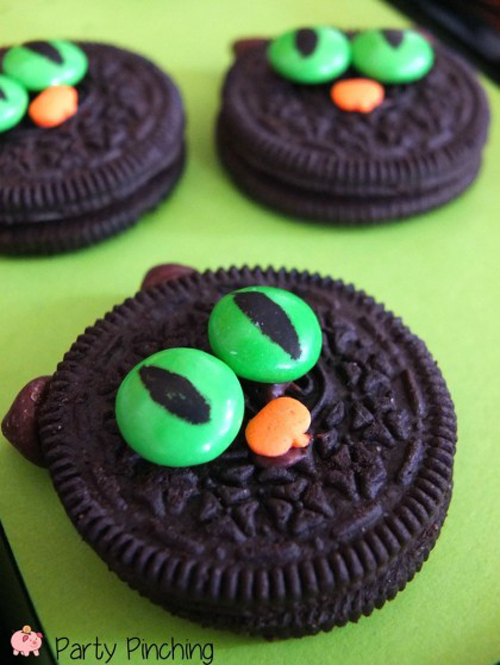 But before you label me the Scrooge of Halloween, let me tell you that I take Halloween treats very seriously. 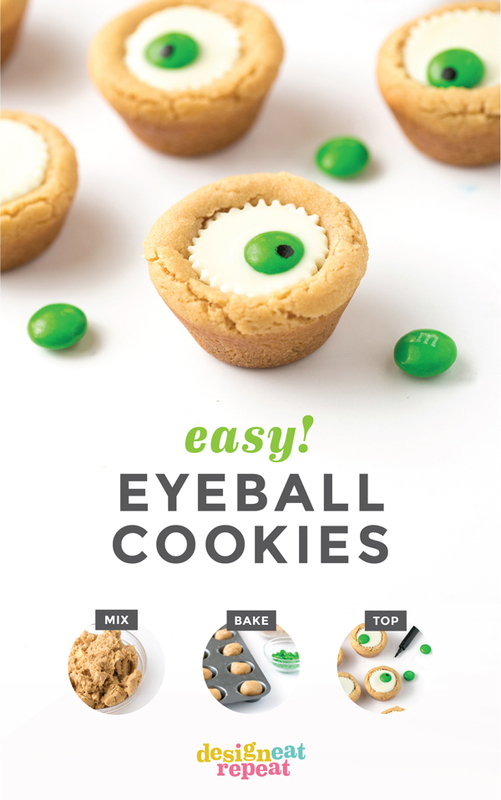 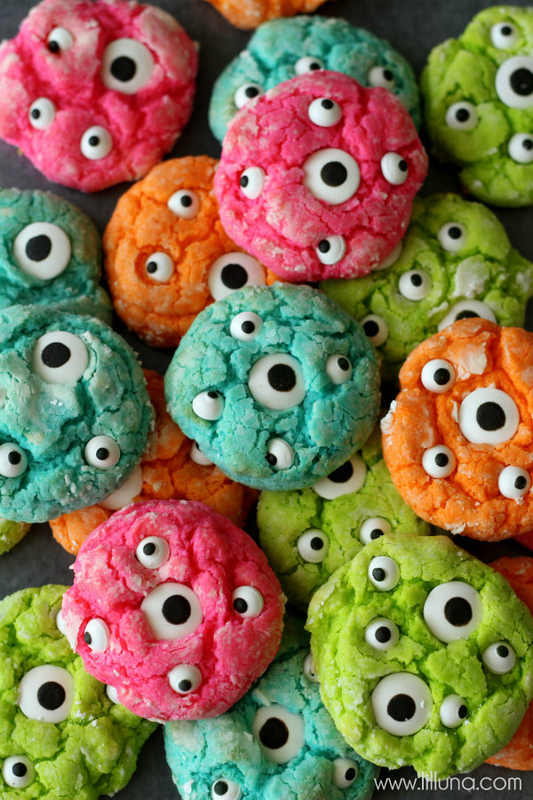 Baking monster cookies with the kids? 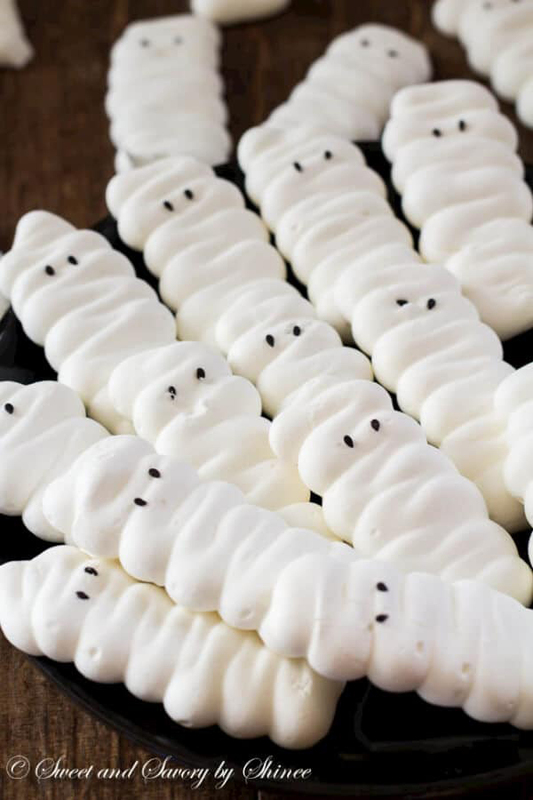 That’s my kind of celebrating. 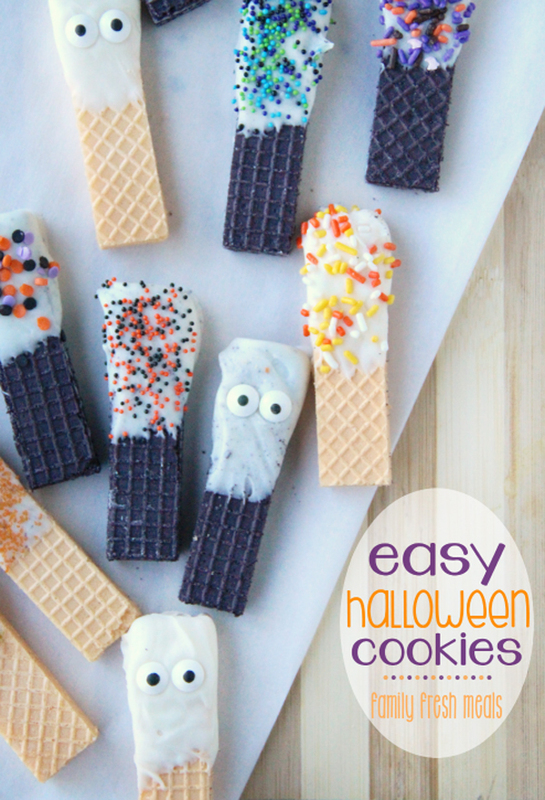 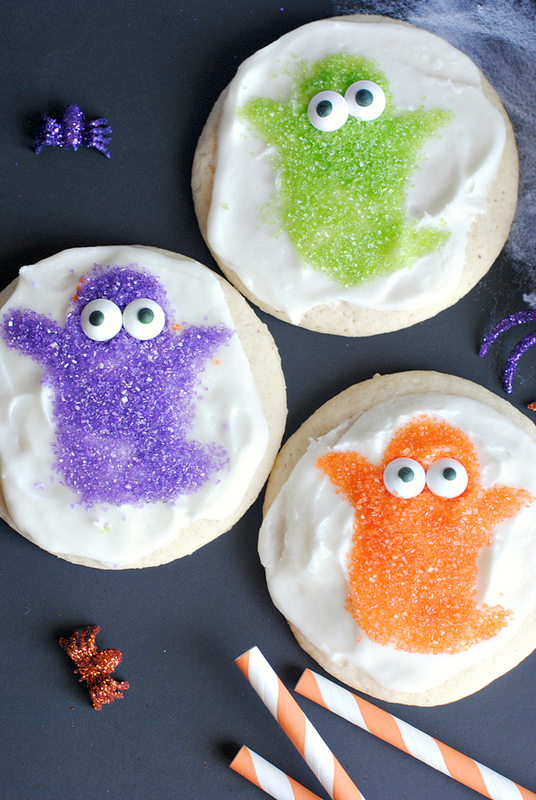 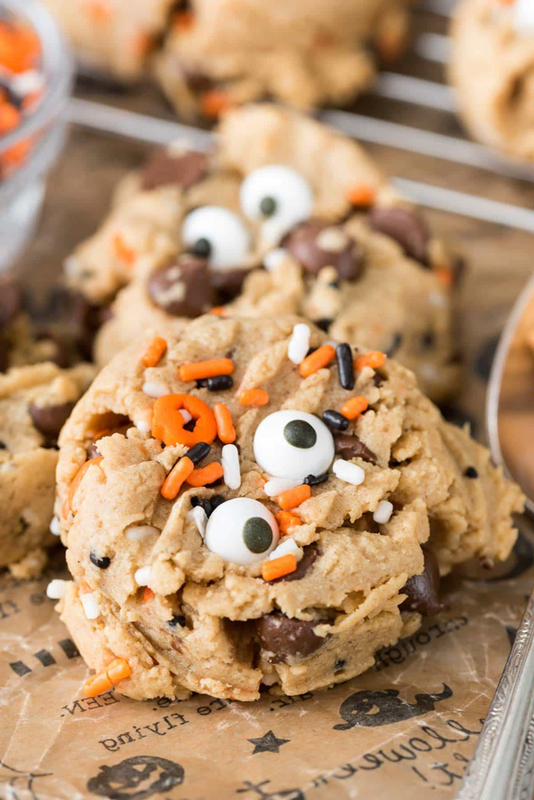 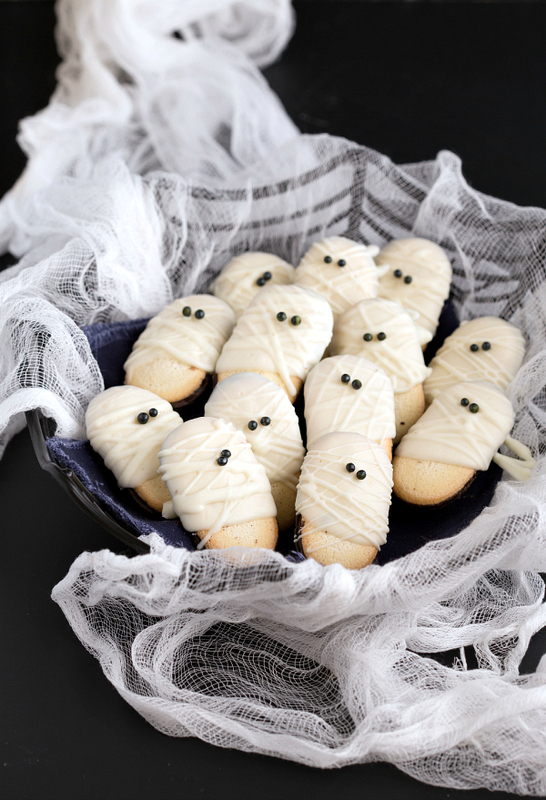 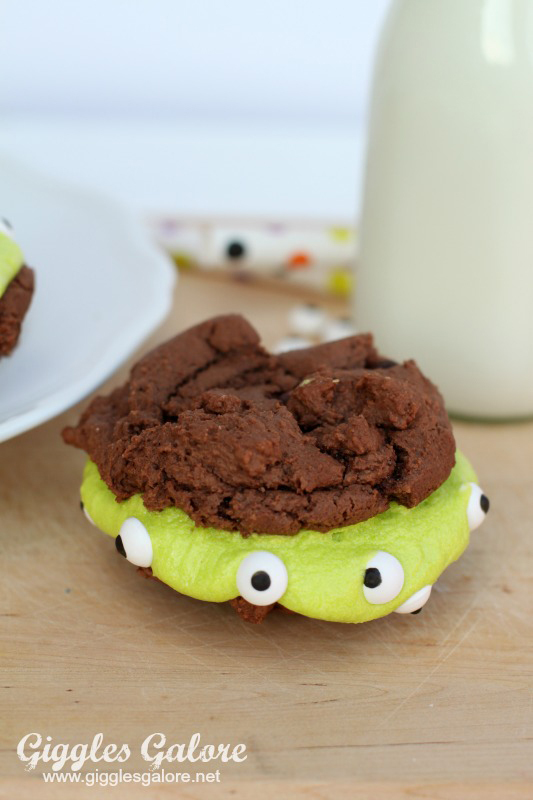 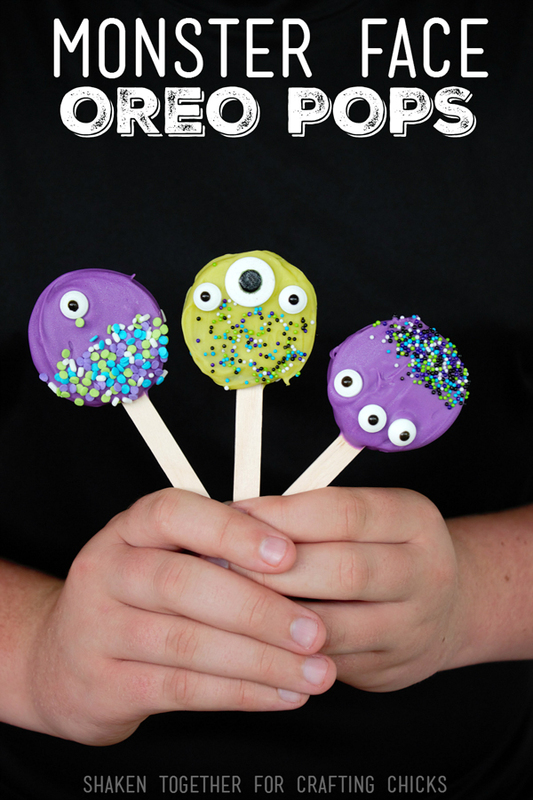 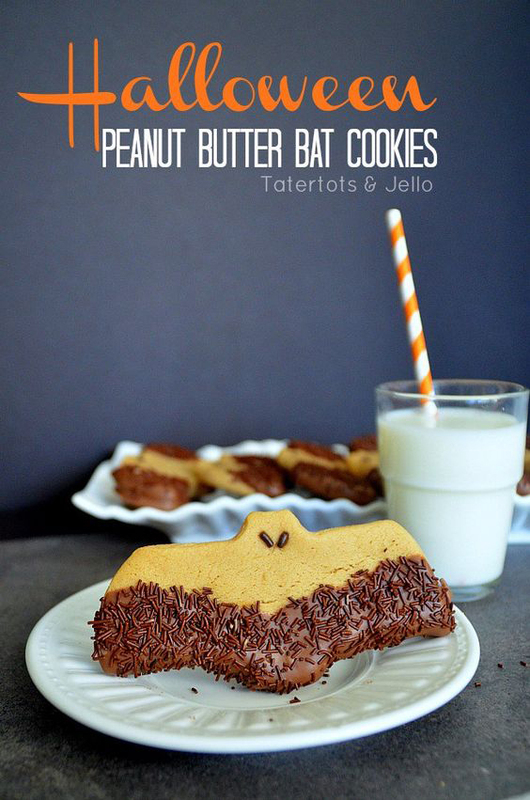 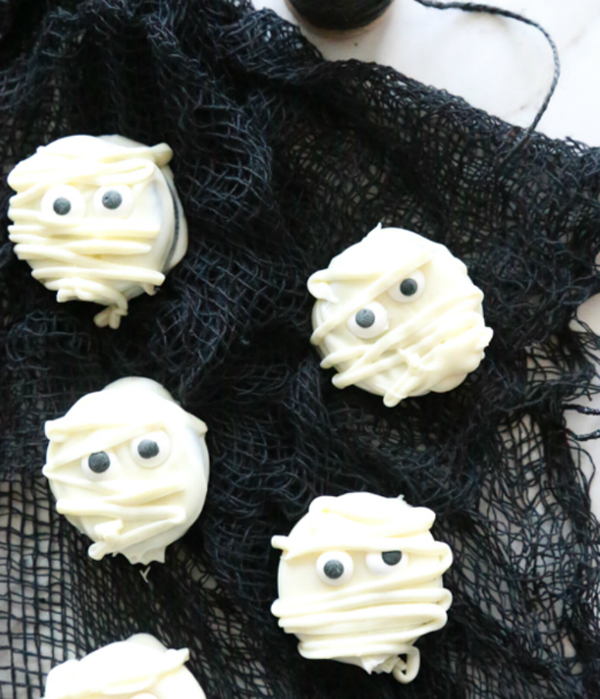 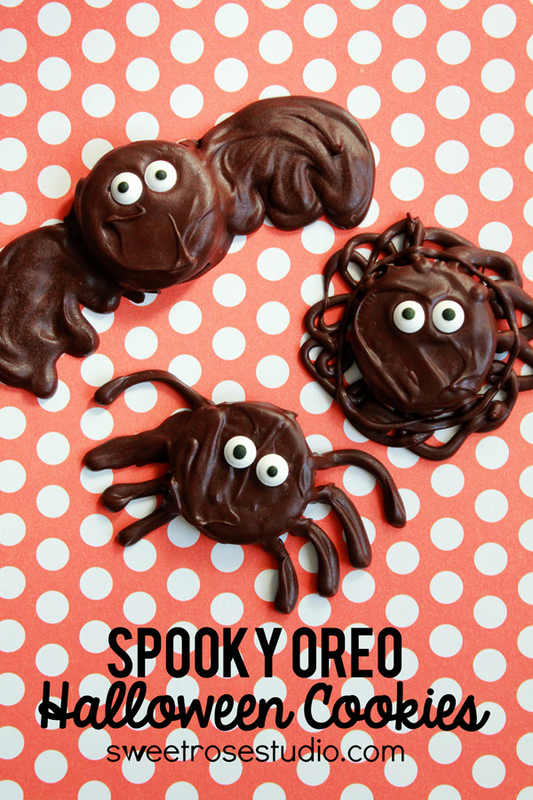 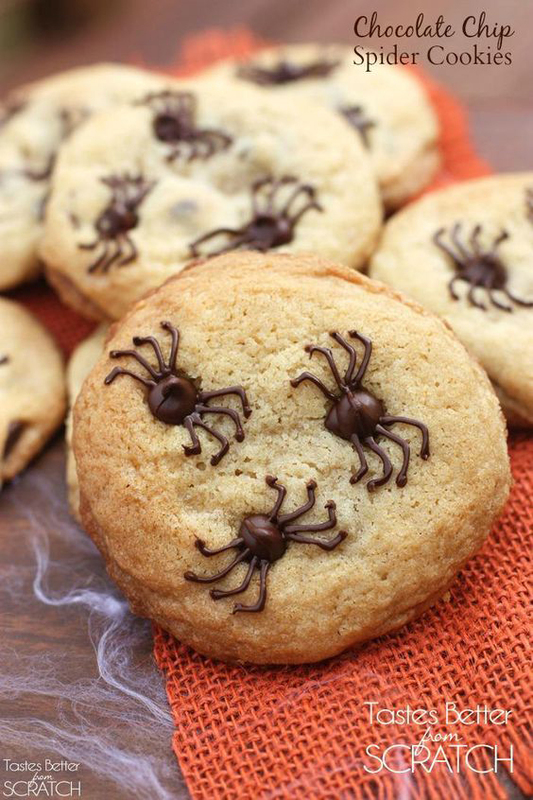 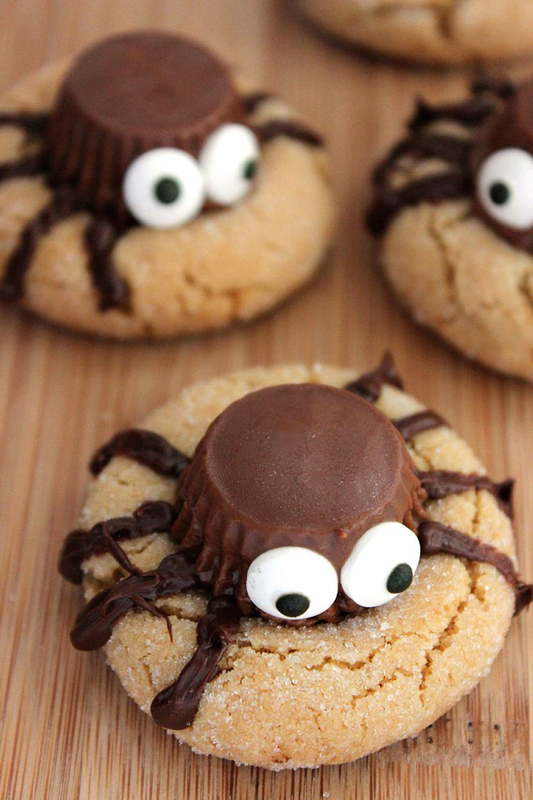 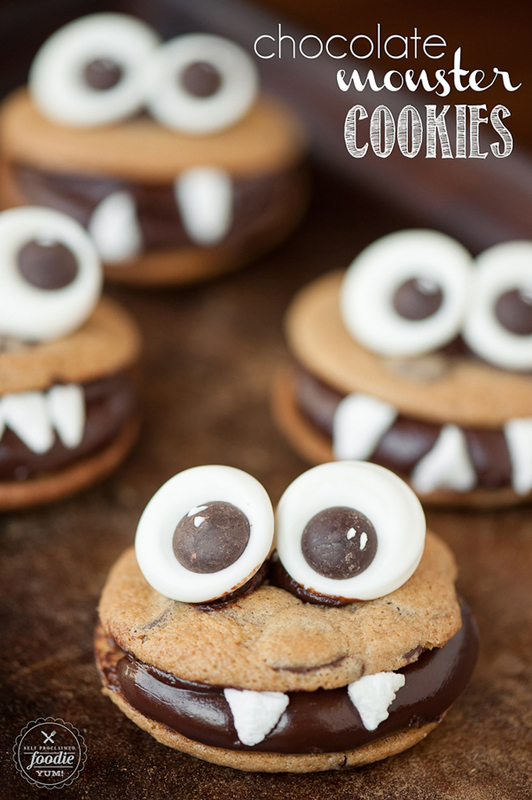 Here are 33 easy Halloween cookies for you to make with your kids this October! 27. 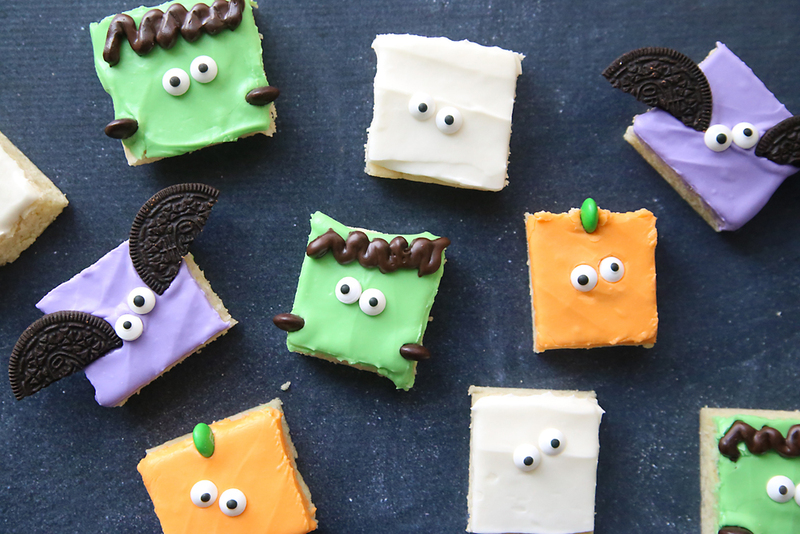 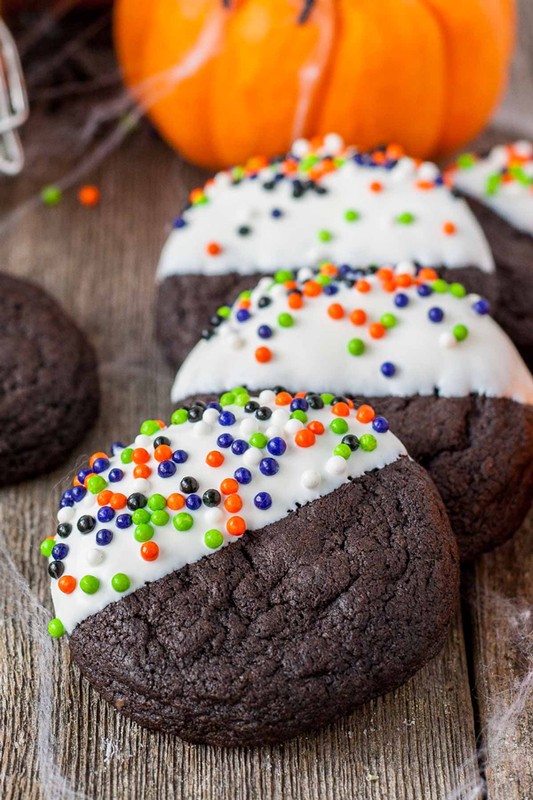 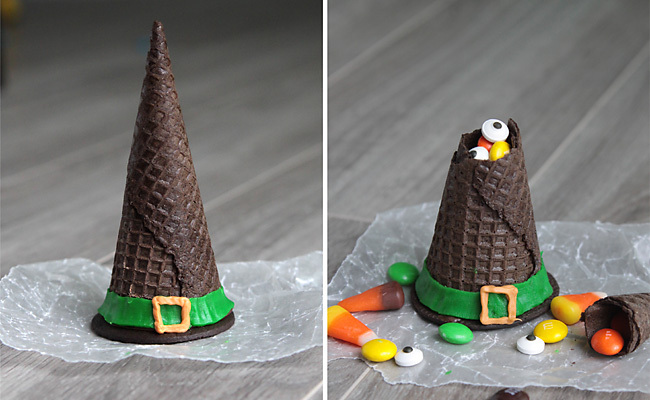 These witch hat cookies from Dizzy Busy and Hungry are a super easy Halloween cookie! 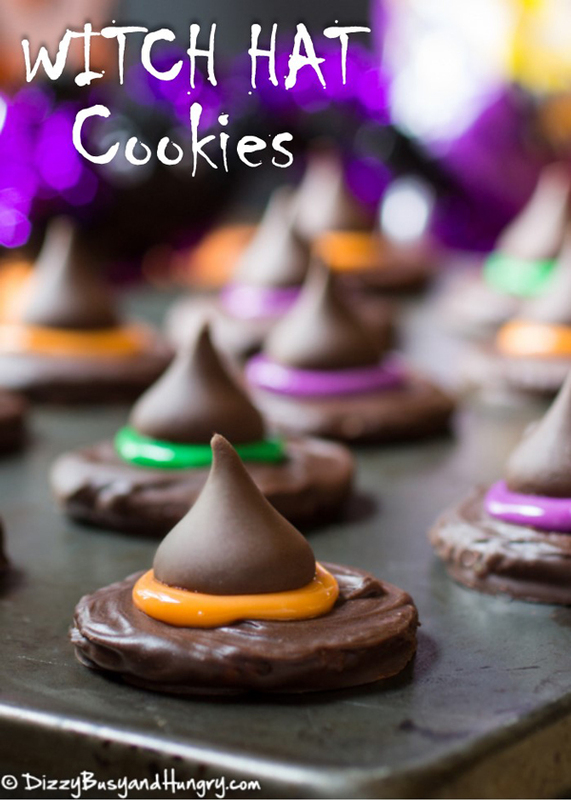 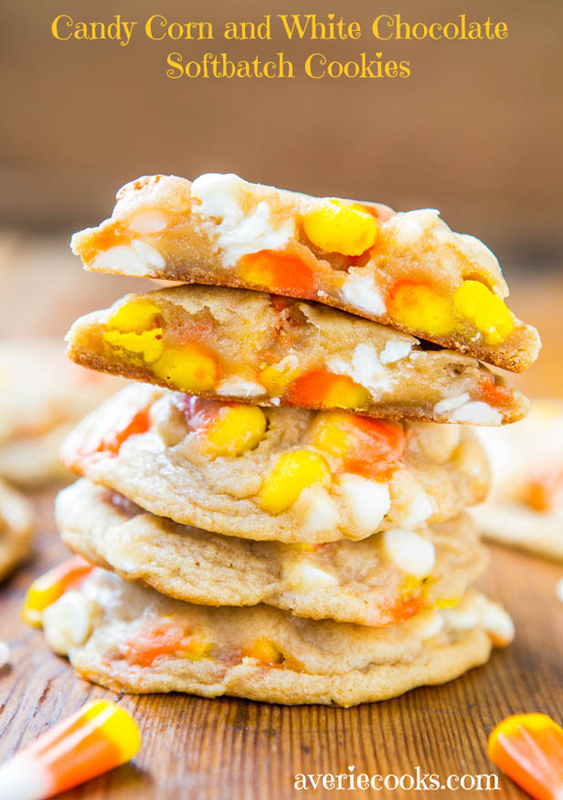 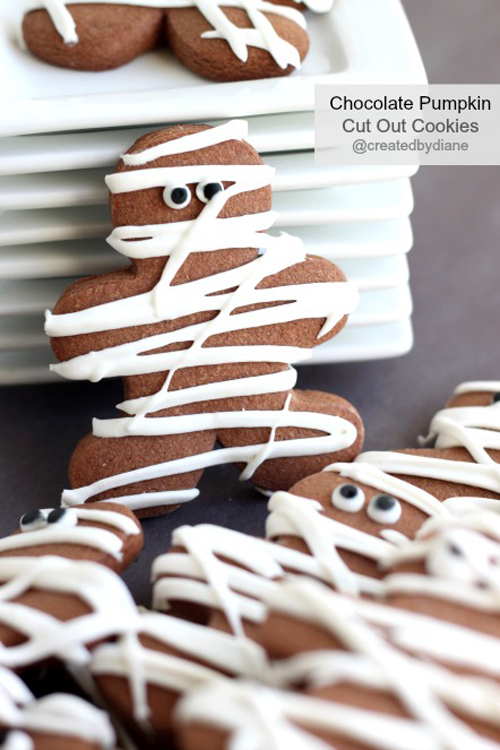 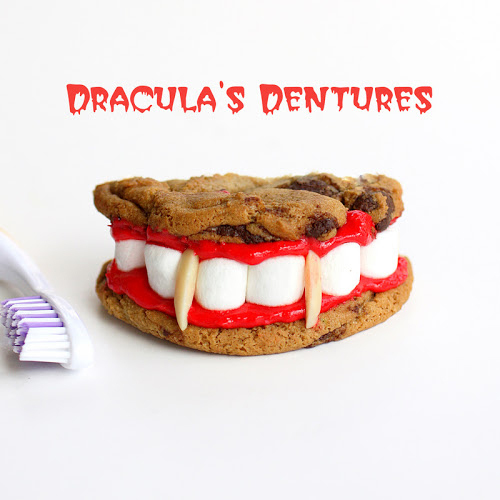 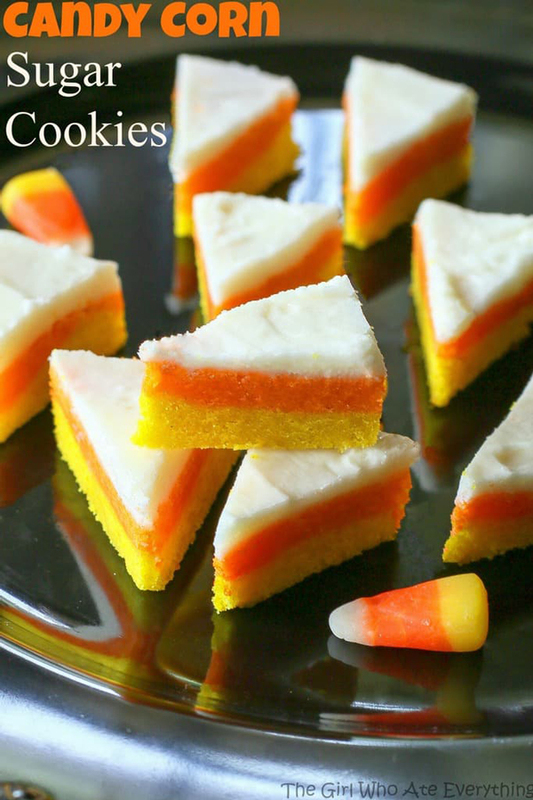 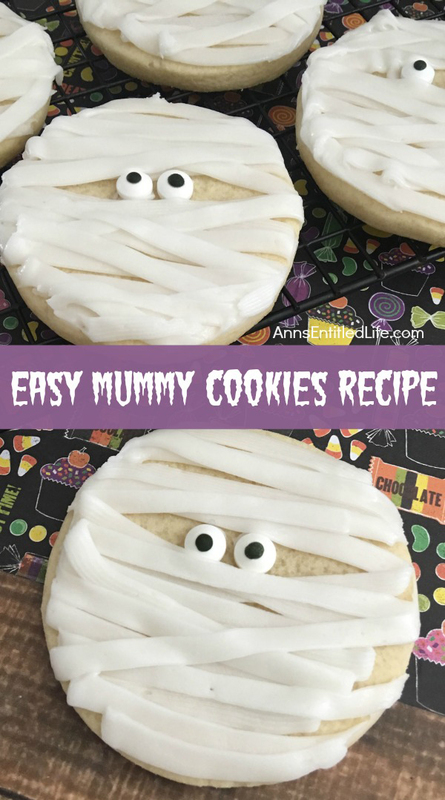 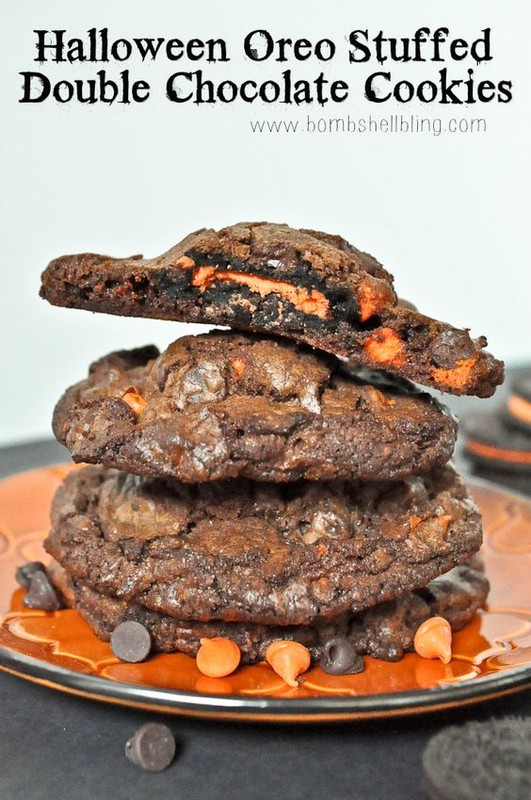 I hope you have a great time making some of these easy Halloween cookie recipes with your kids!